Here's an experiment we don't recommend: Sneak into any PGA Tour parking lot, pop open the trunks of every courtesy car and check out which travel bags are being lugged around by the top professionals. On second thought, save yourself the trouble, as a recent Darrell Survey showed that more than 90 percent of these players use Club Glove. 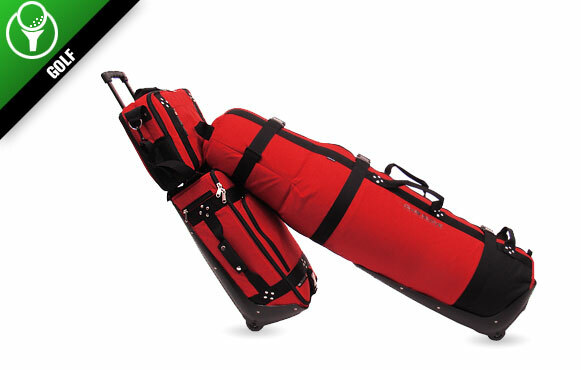 Toting their sticks all over the world, these guys understand this product line employs a unique leverage system to create a perfect center of gravity, letting travelers stroll effortlessly with all their luggage. Check out the Train Reaction and Last Bag for their extreme durability -- and, uh, stay away from the courtesy cars.